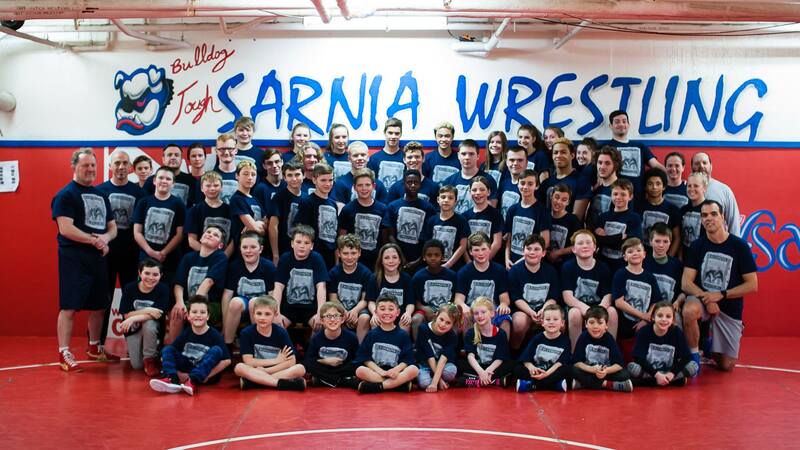 If you qualified for the Cadet/Juvenile Nationals this year, you may want to show off that you’re part of Team Ontario on the mats. 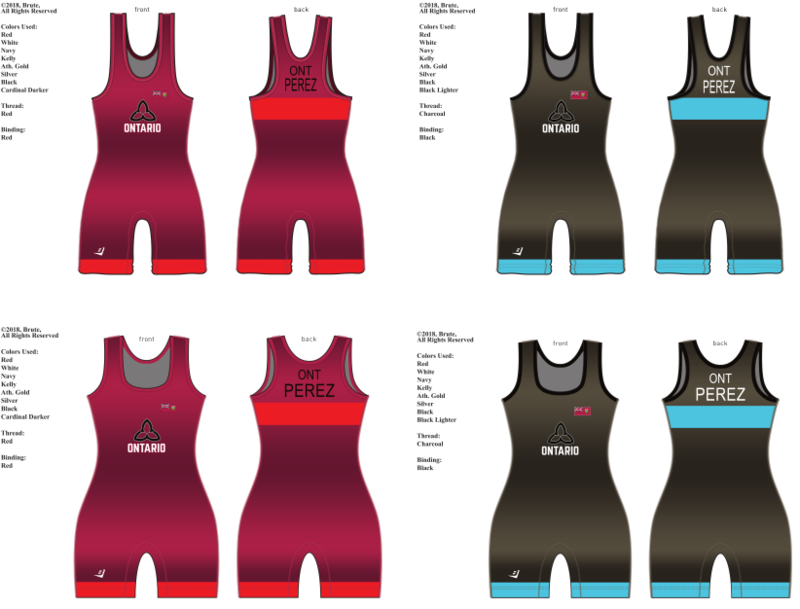 If you are going to Nationals as a member of Team Ontario and want to order your name on your singlet, get your name and size to Deb Fraser of Aktion Sports by March 1st. Deb can be reached at cdfra@rogers.com. 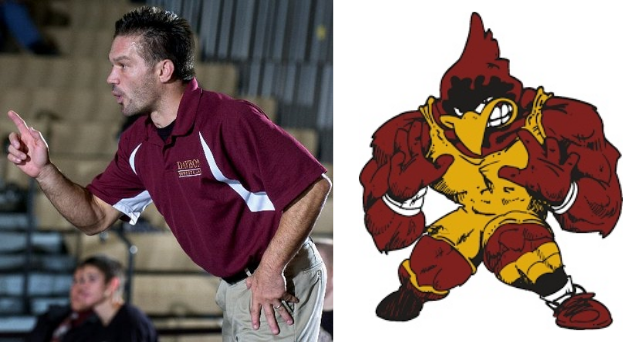 Wrestling. The World’s oldest Sport. Join us on Facebook to keep up to date with messages from the team. 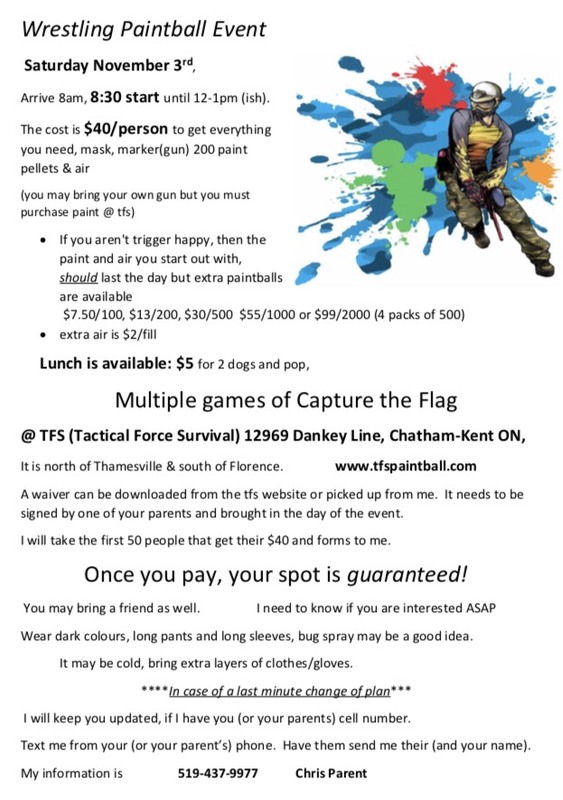 This Saturday, UCC Wrestling is hosting their annual paintball tournament. If you’re interested in a different style of combat sport, get some people together and reach out to Coach Burke or Coach Parent.